By downloading or using the App, or by using the Service through the Website, you confirm that you have read, understood and agree to be bound by these Terms. If you accept these Terms on behalf of a company or other legal entity, or you represent that you have authority to bind such legal entity, the term “you” and/or “your” will refer to such entity (or if such entity is acting as an authorized third party, then the terms “you” and “your” will refer to such entity, the authorizing part(ies) or both, as applicable). “Customer”, “You” or “Your” means, in the case of an individual accepting this Agreement on his or her own behalf, such individual, or in the case of an individual accepting this Agreement on behalf of a company or other legal entity, the company or other legal entity for which You are accepting this Agreement. ‘User’ means, in the case of an individual accepting these terms on his or her own behalf, such individual. In the case of an individual accepting this Agreement on behalf of a company or other legal entity, “User” means an individual who is authorized by You to use a Service. When downloading the App, or using the Service through the Website, you will receive a non-exclusive, non-transferable, limited in time and revocable license to use the Service, the App and the Website in accordance with these Terms. Any use of the Service, the App or the Website other than as specifically authorized herein, without the prior written permission of the Company, is strictly prohibited and will automatically terminate the license granted herein. The Company reserves the right to, at any time, update, change, modify or withdraw the Service, the App or the Website without incurring any liability whatsoever. (“We”,”Our”,”Us”,”Optimus App”, “Regulus Technologies AB”) a company registered in Sweden under the company number 559163-8498 and the address SUP46, Start-Up People of Sweden Regeringsgatan 29, 111 53 Stockholm, Sweden. The Service allows registered Users to: (i) create and manage one or more organizations online; (ii) become a member in such an organization; or both (i) and (ii). The Service includes communications from Us, such as service announcements and administrative messages. To be able to use the Service, you must create a user account. You undertake to state correct and complete information when registering the user account, and to keep the information updated. You are solely responsible and liable for all access to, and all actions and activities conducted under your user account and shall immediately inform us about any unauthorized use of or access to your user account. We reserve the right to suspend or terminate a user account at our sole discretion. A user may cancel his/her user account at any time, without prior notice. The Service, the App and the Website are provided, to the extent allowed under law, “as is” and “as available” without any representations or warranties of any kind, expressed or implied, including but not limited to merchantability, fitness for a particular purpose, quiet enjoyment, or non-infringement. The Company does not warrant that the Service, the App or the Website will (i) meet your requirements or expectations; (ii) be available on an uninterrupted, secure or error-free basis; or (iii) not cause any latency or processing delays. The Company does not warrant the accuracy, timeliness, reliability, truthfulness, or completeness of any information obtained through the Service, the App or the Website. No information, whether oral or written, will create any warranty or representation not expressly made herein. Your use of the Service, the App and/or the Website is at your own risk and account. Through your use thereof, to the extent allowed under law, you waive all rights to claim damages as result of your use or the Company’s failure to provide the Service, the App or the Website in a satisfying manner. The foregoing exclusions and disclaimers are an essential part of these Terms and Conditions, and form a basis enabling the Company to offer the Service, the App and the Website to you. The laws of certain jurisdictions do not allow exclusion or limitation of certain warranties and/or damages. If those laws apply to you, some or all of the above disclaimers may not apply to you in full and you may have additional rights. The Coach is responsible for obtaining and maintaining any required certiﬁcation(s). If the certiﬁcation status is misrepresented, this agreement will be cancelled automatically and immediately, and any monies due to the Coach will be forfeited. The Coach is responsible for the submission of evaluations, and any other program completion required by Regulus Technologies AB. Nothing in this agreement shall, in any way, be construed to constitute the Personal Trainer as an agent, employee, or representative of Regulus Technologies AB under the brand name Optimus App. Optimus App is not responsible for withholding or paying federal, state, or local income tax, FICA, unemployment, or other similar taxes nor liability, workman’s compensation or other similar insurance, you acknowledge that Optimus App is not your employer but simply a host for you to sell your educational programs. You may upload, post and publish content through the Service. You will at all times remain responsible for content that is uploaded, posted or published under your user account. By uploading content to the Service, you warrant that you are entitled to upload and publish the content and that your uploading/publishing does not violate applicable law. If you publish content which we, in our sole discretion find indecent, abusive or offensive, we may delete such and terminate your account. Optimus App maintains the right to use the content published, in an anonymized, consolidated and aggregated manner with other customers’ information in marketing activities to improve, develop and modify the Service and to compile statistics and other marketing information.  The Coach agrees that the programs provided to Optimus App were created solely by Coach and aren’t the intellectual property of another coach. The coach still own these ﬁtness programs if they were created by her/him, but are simply giving Optimus App full permission to host, sell, promote, and distribute these programs. We collect and process the personal data that you provide to us (e.g. when you register your user account). Any information, software, data or other materials developed or provided by the Company or its licensors used by the Company to provide the Service, the App and the Website, including all intellectual property rights (such as but not limited to copyright, trademarks, trade names or trade dress) therein, shall remain the sole and exclusive property of the Company or its licensors. Unless explicitly allowed to do so by prior written permission by the Company, you agree not to sell, license, rent, sublicense, modify, distribute, copy, reproduce, transmit, publicly display or perform, publish, adapt, edit, disassemble, decompile or create derivative works of the Service, the App or the Website. The Service, the App and the Website may contain content provided by a third party. Such content may be protected by copyright, trademark or another right covered by law. You agree to abide by and maintain all copyright and other legal notices, information, and restrictions contained in any such content you access. All applicable challenge (course) fees are set out in our app, available at the Optimus App. Unless otherwise is specified, payment shall be made on demand during purchasing the challenge (course) with the applicable payment method. We reserve the right to change the fees at any time. In case of cancellation or termination, we will not refund any payments. Optimus App reserves the right to suspend the Service and/or App upon your failure to pay for the Service and/or App. As a Coach, you are acknowledging that Optimus App, including payment and processing fees, will receive 35% from every program sold for our costs in development, marketing, administration, sales, customer service, and more unless otherwise discussed with Optimus App. Payment processing services for Coaches on Optimus App are provided by Stripe and are subject to the Stripe Connected Account Agreement, which includes the Stripe Terms of Service (collectively, the “Stripe Services Agreement”). By agreeing to [this agreement / these terms / etc.] or continuing to operate as a Coach on Optimus App, you agree to be bound by the Stripe Services Agreement, as the same may be modified by Stripe from time to time. As a condition of Optimus App enabling payment processing services through Stripe, you agree to provide Optimus App accurate and complete information about you and your business, and you authorize Optimus App to share it and transaction information related to your use of the payment processing services provided by Stripe. The Service, the App and the Website may from time to time use and integrate with third party services or websites. You agree that the Company does not have any control over, or assume any responsibility for, such third party services or websites with regard to, for example, their functionality, handling of data or any contractual relations between you and such third party. Third party services or websites might discontinue integration, or not support the use of the Service, the App or the Website in connection with their services or products and/or might charge additional fees for the use of the functions you access. You agree that you are fully responsible for such fees and that the Company does not assume any responsibilities or liabilities in relation to such third party services or websites or regarding the Service’s, the App’s or the Website’s possibility to integrate with such third party services or websites. You understand and acknowledge that the terms of agreement with your respective mobile network provider (“Mobile Provider”) will continue to apply when using the Service or the downloaded App or when accessing the Website on your mobile device. As a result, you may be charged by the Mobile Provider for access to network connection services for the duration of the connection while accessing the mobile application and you accept responsibility for any such charges. The Company may, from time to time, update these Terms. Changes shall become effective upon your acceptance of the updated Terms. If We accidently take payment after You have given Us notice that You no longer wish to pay for a course, We will refund You in full. If We are unable to collect payment for any reason or You fail to pay the charges, We may suspend the features of the relevant plan until We receive payment in full and in cleared funds. You may upgrade or downgrade plans at any time by selecting the plan You want. If You upgrade to a higher plan, the higher plan will be available to You as soon as You have paid the relevant charges. If You downgrade to a lower value plan, You will be charged the lower amount when Your next payment is due. These Terms apply until terminated. You may at any time terminate these Terms by deleting your user account. The Company reserves the right to, without prior notice and with immediate effect, at any time and without any reason, modify, limit, suspend or terminate your use of the Service, the App and/or the Website. Any license granted to you will immediately cease upon termination. Notwithstanding anything in the above, Sections 3, 6 and 7 of these Terms will survive termination. The Company is not responsible for any damage, loss, or injury resulting from hacking, tampering, or other unauthorized access or use of the Service, the App or the Website. You agree that the Company and its affiliates will not be liable to you or any third party for any direct, indirect, incidental, special, consequential or exemplary damages, including but not limited to, damages for loss of profits, goodwill, use, data or other intangible losses (even if we and our third party application providers have been advised of the possibility of such damages), resulting from (i) the use or inability to use the Service, the App or the Website; (ii) the cost of getting substitute goods and services resulting from any products, data, information or services purchased or obtained or messages received or transactions entered into through or from the Service, the App or the Website; (iii) unauthorized access to or alteration of your transmissions or data; (iv) statements or conduct of anyone in connection with the use of the Service, the App or the Website; or (v) any other matter relating to the Service, the App or the Website. You agree to defend, indemnify, and hold the Company and its affiliates, assignees, officers, employees and agents harmless from all liabilities, claims and expenses, including but not limited to, legal costs and attorneys’ fees, that are caused or can be related to your use or misuse of the Service, the App or the Website, violation of these Terms, your gross negligence or infringement of any intellectual property or other right of any person or entity by you. If any provision of these Terms is held to be invalid or unenforceable, such provision shall be limited, modified or severed to the minimum extent necessary to eliminate its invalidity or unenforceability in order for these Terms to otherwise remain in full force, effect and enforceability. We reserve the right to transfer our rights and obligations under these Terms to a third party. These Terms shall be construed in accordance with and governed by the substantive law of Sweden. Any dispute, controversy or claim arising out of or in connection with your use of the Service, the App or the Website, or with these Terms, or the breach, termination or invalidity thereof, shall be settled by public Swedish courts, with Stockholm District Court as first instance.